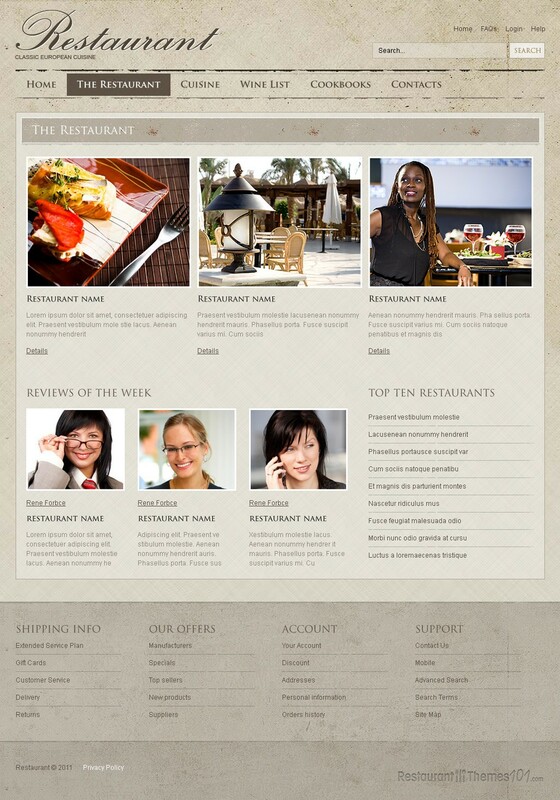 Restaurant Classic 2 is a very nice restaurant template for Joomla. The template was created by Mercury and it is featured at Template Monster. 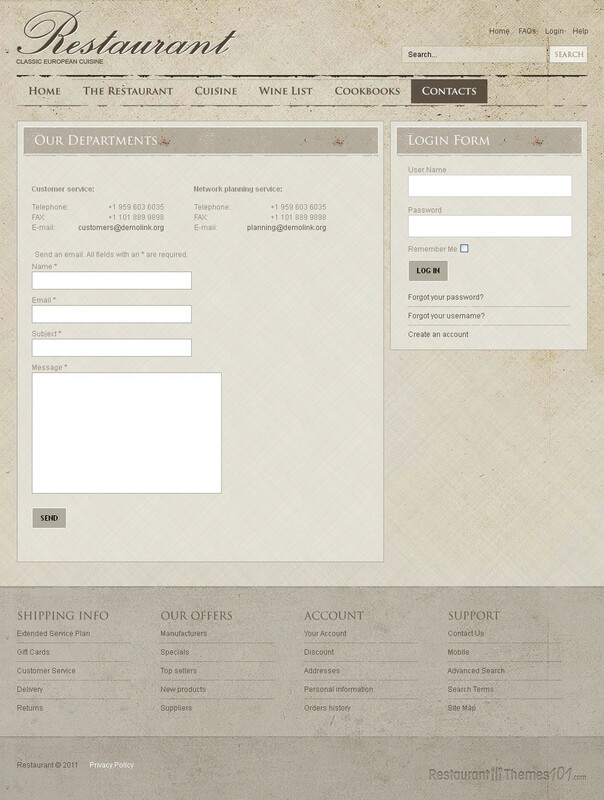 This template’s colors are light brown and gray, with pretty patterns. 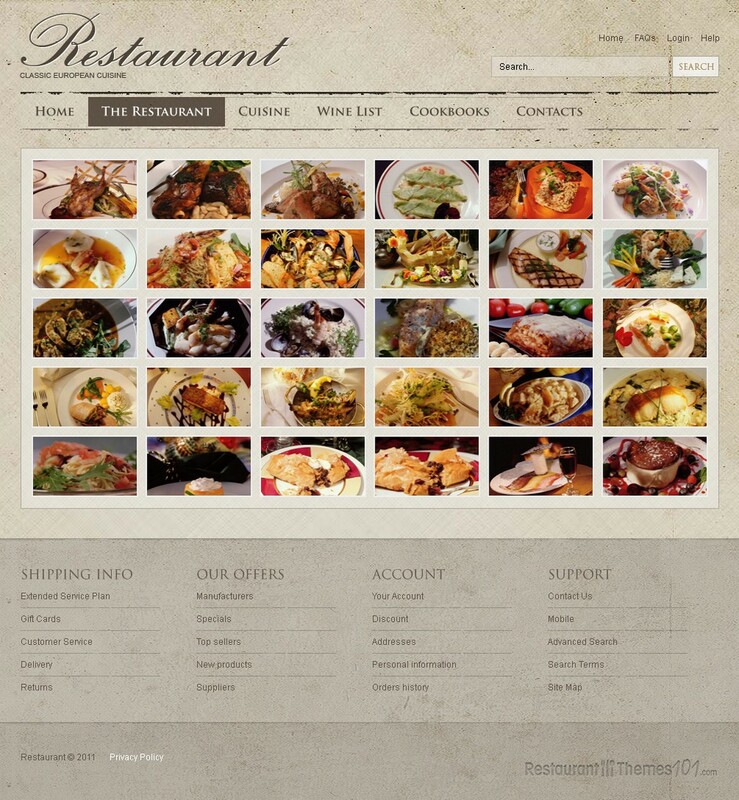 The homepage features a slider where you can place quality photos of your delicacies, or the pleasant ambient at your restaurant and point your visitor’s attention to the quality of your service. 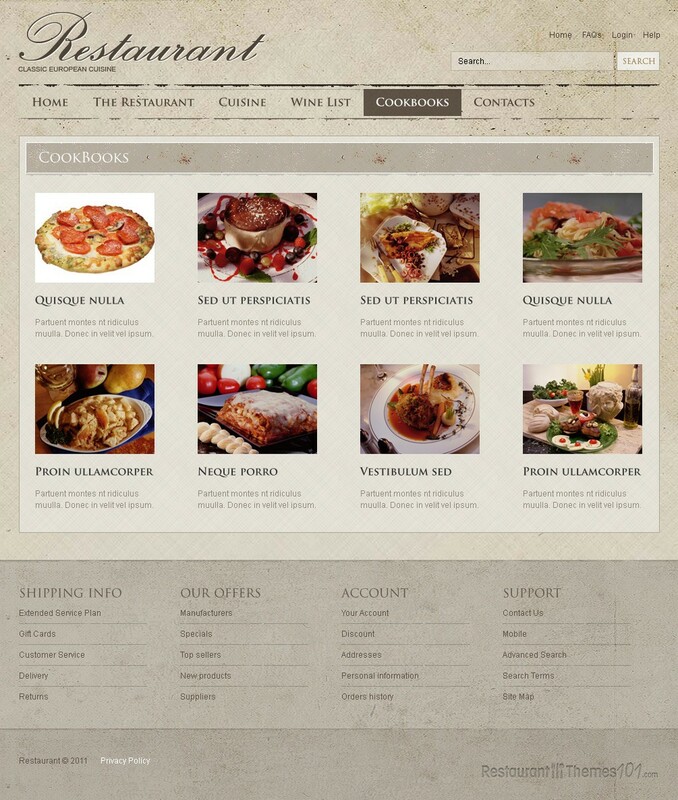 You will be able to feature a lot of content on the homepage with this template. 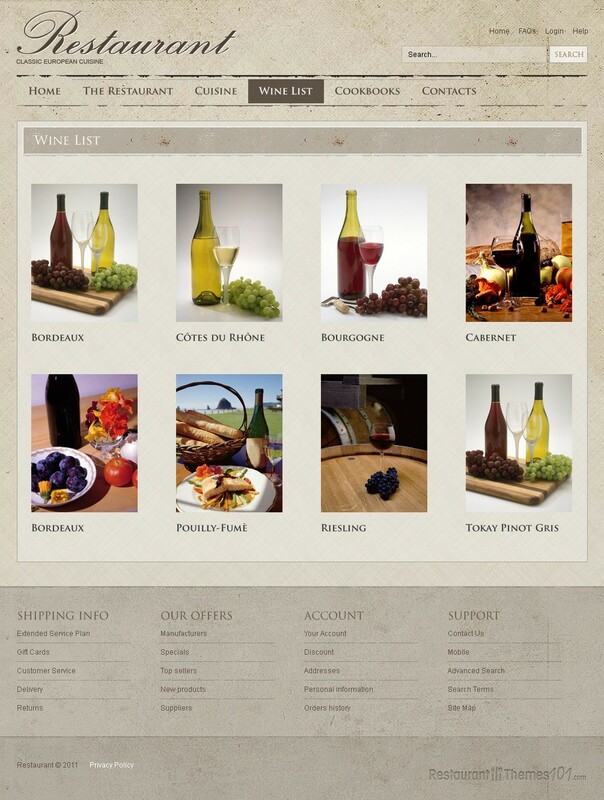 A nice introduction post can be written and placed on the homepage along with a photo. 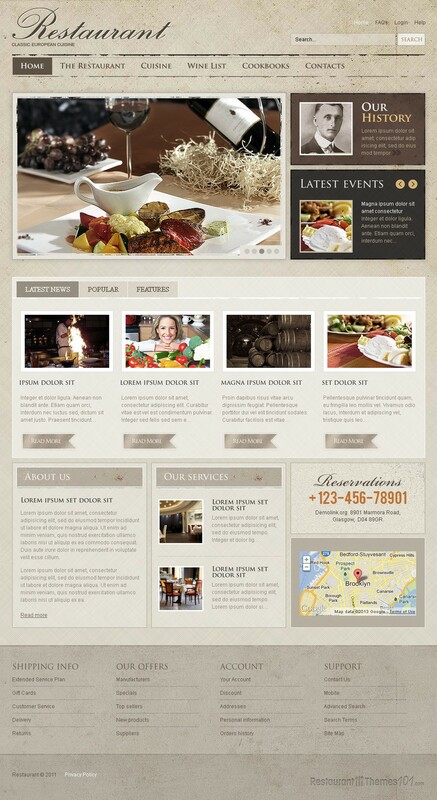 This is where you can bring your visitors closer to your restaurant and tell them a little about your business. Restaurant Classic 2 features events, which allows you to announce any upcoming happening you might be organizing, and feature it on your homepage with a photo and short description for everyone to see. By clicking the photo, your guests will be taken to a page where you can tell them all about the featured event. A whole bunch of content can be featured in a slider form, and this is where you can place your latest news, most popular posts, special servings or anything else you would like your visitors to see. All of these posts will be featured with resized photos and short intro text, and they will be linked to full content pages. By clicking the featured post your guests will be redirected to the right pages. If you want to write a little more about your restaurant and introduce yourself and your business properly to your guests, this template allows you to do so. Write all about the services you provide and add nice photos to enhance the post. You can feature these posts on your homepage as well. Google Maps is a nice addition to all the features this template provides, and you will be able to palace a small map with directions to your restaurant right on your homepage. 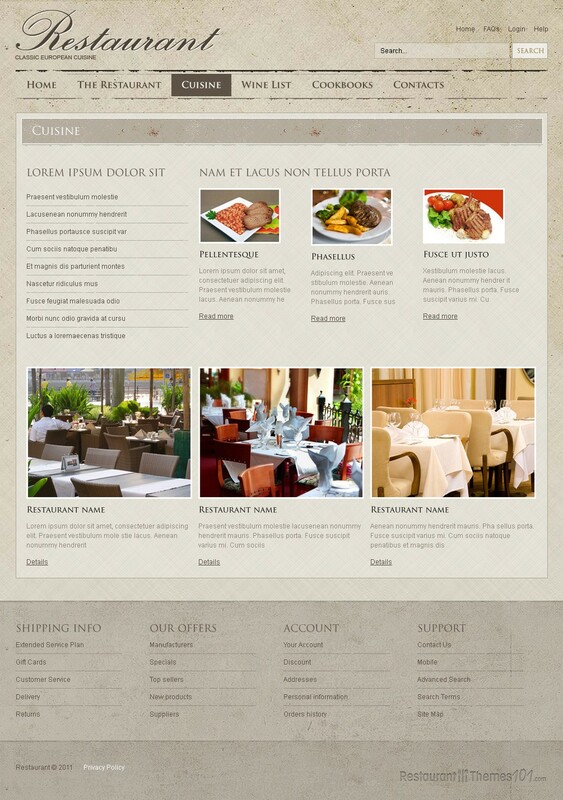 Restaurant Classic 2 is a Joomla restaurant template with a very powerful admin panel, allowing anyone to manage the website with ease. The template is also available as a Facebook page template.